I never know what my news reader will turn up, and I’ve got to say this one really surprised me. But don’t get your hopes up too much, as Garriott explains why. 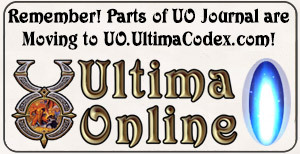 In an interview with Industry Gamers, Garriott actually brought up the Ultima franchise first, and mentioned that he found it funny that EA was using the Origin name for its online services. He then went on to mention that he’s actually had talks at “very high levels” about collaborating with Electronic Arts. “I find the use of the word Ultima to be more interesting as they’ve tried to give that legs again. I hope that Ultima does survive forever, yet I also, of course, have my own very particular ideas for what Ultima can and should become over time and so we’ll see if they do things quite the way I would do them… since I’m not there at the moment,” he commented. 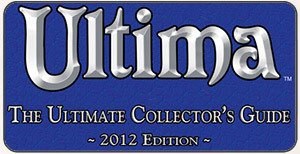 Ultima 4, free, on GOG.com , it’s a miracle. It’s like there is a plan to re-release all the great old origin games…. What can it mean? Will be testing the secret project in London this week. Hoping for positive feedback. Latest build will be sent via dropbox! I have a hard time believing that Barnett would turn Garriott down, so I’d be willing to bet that other personalities are at play, probably outside of the BioWare label.